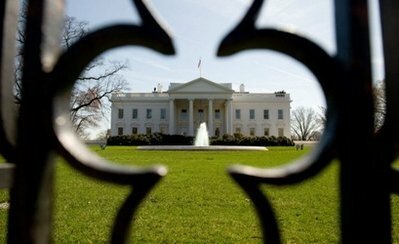 The intruder who climbed a fence made it farther inside the White House than the Secret Service has publicly acknowledged, a Republican congressman said Monday. The disclosures came on the eve of a congressional oversight hearing with the director of the embattled agency assigned to protect the president’s life. Rep. Jason Chaffetz, R-Utah, who chairs a House subcommittee on national security oversight, said whistleblowers had informed his panel that Omar J. Gonzalez had made it far beyond the front doors of the White House, despite what the Secret Service had said in the hours after the incident. Chaffetz criticized the Secret Service and its leadership for not doing more to stop the suspect earlier. “I have deep concerns that the president is not as safe as we want and need him to be,” Chaffetz said on CNN. In the hours after the Sept. 19 fence-jumper incident, Secret Service spokesman Ed Donovan told The Associated Press that the suspect had been apprehended just inside the North Portico doors of the White House. The Secret Service also said that night that the suspect had been unarmed — an assertion that was revealed to be false the next day when officials acknowledged Gonzalez had a knife with him when he was apprehended. It was not clear late Monday what Homeland Security Secretary Jeh Johnson was told about the extent of the incident. Senate Judiciary Committee staffers who were briefed about the investigation by the administration a week after the incident were never told that Gonzalez had made it deep into the building, said a congressional official who wasn’t authorized to discuss the investigation and requested anonymity. The official said the committee later was told that the suspect had, indeed, made it far beyond the front door. Citing multiple unnamed sources, The Washington Post reported that Gonzalez ran past the guard at the front door, past a staircase leading up to the Obamas’ living quarters and into the East Room, which is about halfway across the first floor of the building. Gonzalez was eventually “tackled” by a counter-assault agent, the Post said. Getting so far would have required Gonzalez to dash through the main entrance hall, turn a corner, then run through the center hallway half-way across the first floor of the building, which spans 168 feet in total, according to the White House Historical Association. The latest details to emerge about the troubling breach were expected to dominate questioning by lawmakers on Tuesday when Secret Service Director Julia Pierson was scheduled to testify before a House committee — her first testimony since the incident. A Secret Service spokesman declined to comment Monday because of the ongoing investigation. Since the incident, the White House has treaded carefully. Although White House spokesman Josh Earnest acknowledged the president was “obviously concerned” about the intrusion, he also expressed confidence in the Secret Service as recently as Monday. It would be untenable for any president, not just Obama, to pointedly criticize the men and women who put themselves at risk to protect his life and family. That inherent conflict of interest means that Congress, not the executive branch, is the most effective oversight authority for the Secret Service, its agents and officers. “The president and the first lady, like all parents, are concerned about the safety of their children, but the president and first lady also have confidence in the men and women of the Secret Service to do a very important job,” Earnest said. Had the intruder had been heavily armed and the president and his family at home, the security lapse could have had serious consequences. No one was hurt in the incident, but it’s not the first involving the White House itself, raising the question whether the latest breach is part of a pattern of delayed reactions to threats to the executive mansion. The Secret Service says that is not the case. Yet in another White House incident in 2011, described by the Post reported over the weekend, the Secret Service did not immediately respond to shots fired at the White House, amid what the agency describes as uncertainty about where the shots originated. Four days later, it was discovered that at least one of the shots broke the glass of a window on the third level of the mansion, the Secret Service said. At the time of that incident, the president and first lady Michelle Obama were away, but their daughters were in Washington — one home and the other due to return that night. Oscar R. Ortega-Hernandez of Idaho has been sentenced to 25 years in prison for the 2011 incident. Gonzalez, 42, was arrested Sept. 19 after agents stopped him inside the White House. After the Sept. 19 breach, Pierson ordered a review of the incident and possible changes to security measures at and around the White House. She briefed the president on Thursday. Gonzalez was on the Secret Service radar as early as July when state troopers arrested him during a traffic stop in southwest Virginia. State troopers there said Gonzalez had an illegal sawed-off shotgun and a map of Washington tucked inside a Bible with a circle around the White House, other monuments and campgrounds. The troopers seized a stash of other weapons and ammunition found during a search of Gonzalez’s car. The Secret Service interviewed Gonzalez in July, but were unable to hold him and he was released on bail. Gonzalez was stopped and questioned again on Aug. 25 while walking along the White House’s south fence. He had a hatchet, but no firearms. His car was searched, but he was not arrested. “There’s a misperception out there that we have some broad detention powers,” said Donovan, the Secret Service spokesman. He pointed out that Secret Service, like other law enforcement agencies, must have evidence of criminal behavior before filing charges against an individual.